I love the idea of Kamala Harris’ plan to give teachers a pay raise. But once we get past ideas, it’s way more troubling. The California Senator and Democratic Presidential hopeful is proposing a $13,500 pay increase for the average teacher, with the exact number based on the size of each state’s pay gap. That’s $315 billion more over a decade through federal matching funds, which amounts to a 23 percent salary increase for most educators. I could certainly use a raise. And Harris IS running for office. With this policy she’s wooing the national teachers unions and filling the neoliberal seat left by Hillary Clinton in 2016. I love my union, but its leadership is like a college kid during spring break – ready to jump into bed with anyone who says the right words. The fact of the matter is this plan also is favored by the people out to destroy my profession from the inside out. Obama’s first Education Secretary. The guy who thought Hurricane Katrina was the best thing to happen to New Orleans because it allowed the government to close the public schools and replace them with charter schools. The man who held federal grant money hostage unless schools enacted his unproven and disastrous corporate driven education reforms. The man who encouraged pushing out teachers of color who had four year education degrees in favor of mostly white Teach for America temps with a few weeks crash course training. The man who encouraged a rapid increase in high stakes standardized testing, narrowed curriculum, let class sizes balloon and decreased authentic lessons. So for Duncan this plan is entirely consistent with corporate education reform. In fact, it makes sense as a continuation of those policies. When privatization cheerleaders like Duncan talk about “high quality teachers” and “accountability” what they really mean are strings attached. In this case, they probably mean merit pay – giving bonuses to teachers whose students get high test scores. It’s a terrible idea because it encourages bad behavior from teachers, administrators and districts, which in turn hurts kids. Having all your teachers fight over the rich white kids who get the highest test scores doesn’t help the struggling students. It just means fewer educators will want to teach the underprivileged because they can’t take the financial hit that comes with it. The result is test prep all day, every day. I want a raise, but not if it means I have to bastardize my own profession down to that! And it’s not just Duncan who loves this idea. Catherine Brown, a senior fellow at the Center for American Progress (CAP), actually helped Harris write this proposal. “It could be transformative in terms of how we think about elevating and modernizing the teaching profession and the federal role in doing so,” Brown said. CAP is a neoliberal think tank that worked closely with the Obama and Clinton administrations. And Brown is also the co-author of “The Progressive Case for Charter Schools”. Any plan to raise teacher salary that is consistent with increased privatization is inherently suspect. You can’t champion authentic public schools and public school teachers while also pushing for more institutions run without the same transparency, democratic government, and enrollment standards. If you think schools should be able to cherrypick which students to accept, they should be run by appointed bureaucrats, and it’s fine to cut student services while pocketing the profits, you aren’t a friend of public education. In an article she co-wrote published by CAP called “Fact Sheet: Yes, Increase the Salaries of All Teachers,” she made it clear that merit pay is a good idea. Ultimately, Brown comes out in favor of an across the board salary increase for teachers, but in her view merit pay is part of that solution. This is a backdoor for the same snake oil the privatizaters have been selling for years. As education blogger Peter Greene points out, the language used in Harris’ proposal is right from the neoliberal playbook. 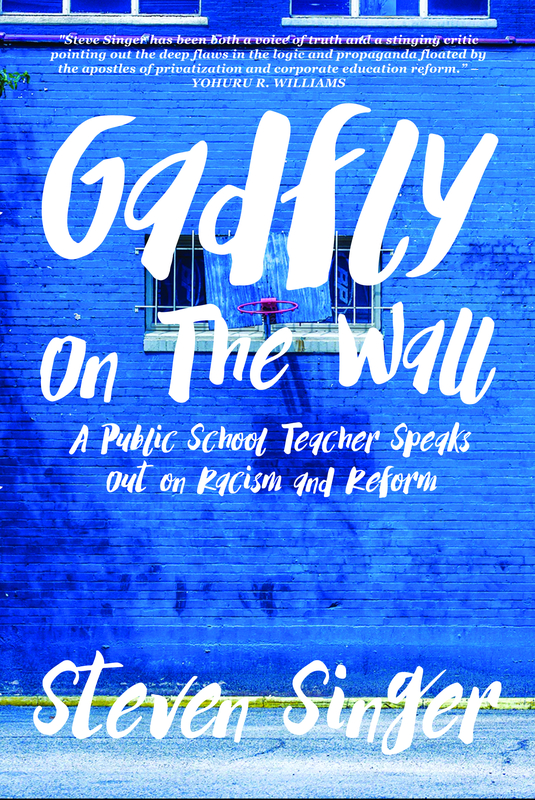 It is full of the same euphemisms and code words that have signaled school privatization, high stakes testing and merit pay. “World class education” and “regardless of ZIP code” mean charter schools galore. And the only “success” these folks are interested in is high test scores. Greene says that the term “Career ladders” is a red flag because it usually denotes career stagnation. It’s code for adding more duties and responsibilities on teachers without actually furthering their careers. If I’m honest, these are all red flags. As much as I want a raise, I’m doubtful Harris’ plan would actually accomplish much other than selling my soul to the testocracy. Ultimately that’s what this is – a Faustian bargain. We need to invest in greater per pupil spending and let that translate into higher teacher salaries. We need equitable and sustainable funding formulas that aren’t tied to testing or that don’t open the door for privatization. And most of all, we need an understanding of the real challenges in education and not a piece of parchment where teachers are supposed to sign in blood.